Are you in need of ideas for stocking stuffers? I have a few ideas for you today. I thought it would be fun to share with you a 5 of my favorite "little" things that I use daily...or at least weekly. 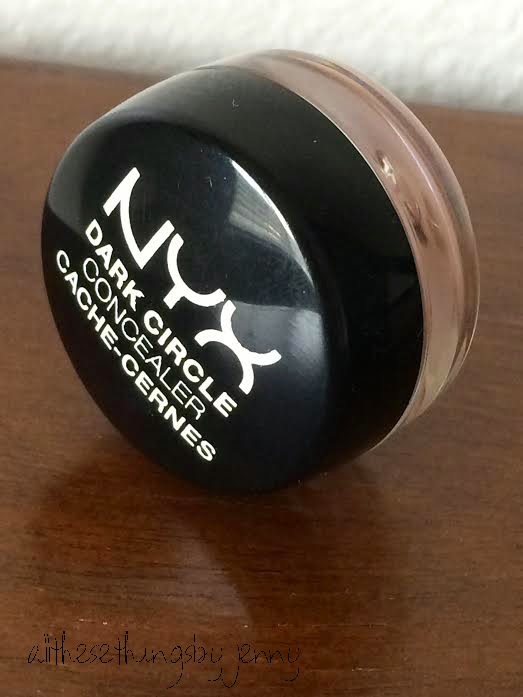 This NYX dark circle concealer has been a life saver for the last few months. I am super make up challenged. I never learned how to put anything besides mascara on, and even with that I put it on "weird". Not that it looks weird. It's just the way I put it on is weird, I guess. Anyway, My friend introduced me to this stuff and it is amazing. On days that I don't get enough sleep and have baggy eyes, I put a little of this on and you can't even tell. This water bottle. I'm sure by now lots of you have seen it. The reason I like this one is that when I go to the gym, I can stick my membership card in the "pocket" and my keys on the carabiniere on top and that cuts on all of my clutter to carry. I can just grab this and my phone and go in. This pen! Oh this pen is awesome. 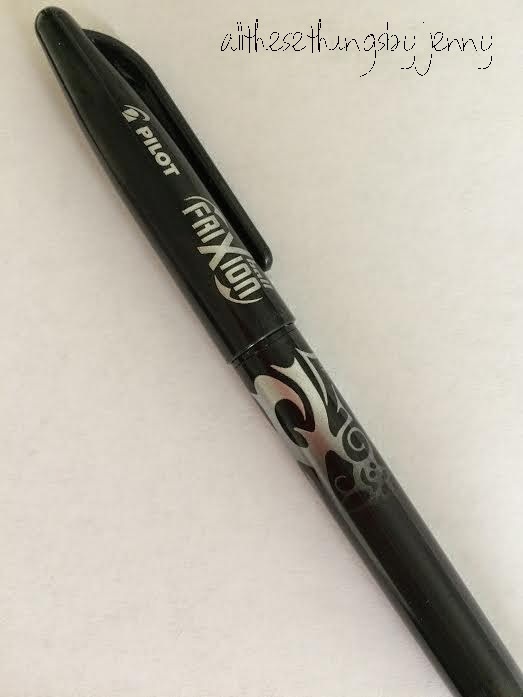 It's a Pilot Frixon pen. You can use this pen on basically anything. I use this pen on paper and on fabric. Here is the coolest part: you can erase it. There is an eraser on the bottom of this pen and I've never seen an erasable pen that gets all the markings off, this one does. Also, if you use it one fabric, it comes off with an iron or with a hairdryer. So you don't have to wait for the marks to fade like other fabric pens. You can buy them in packs with different colors or just get two pens. You can buy them at any office supply store or at some fabric stores. I know that the Cotton Shop in Provo, UT has them. 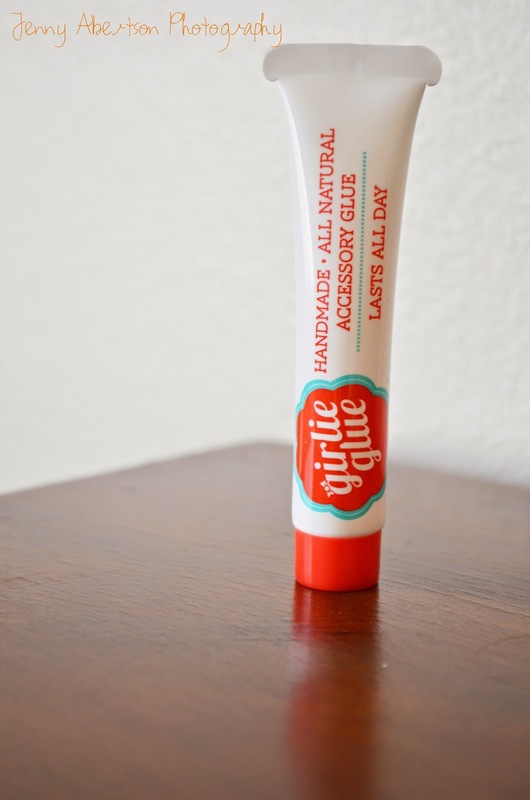 Girlie Glue. Do you have a baby girl? This right here is the best stuff to stick bows in. Heck, you can use it as a gel for boys or girls. Just put a little dab in your had and add a little water. I've even used it, instead of bobby pins, to hold my hair back. It's all natural. Honey free. and it's super easy to wash out. It comes out in water. When Evey was a baby, I could keep a girlie glue bow in her hair for about 3 days! If you know someone who is having a baby girl, this is THE gift for them. Also, you can use it for about a million other things too, not just hair. My Roo Sport. This is a pretty new thing. And this is my "old one", I'm anxiously waiting for my new one to get to me. 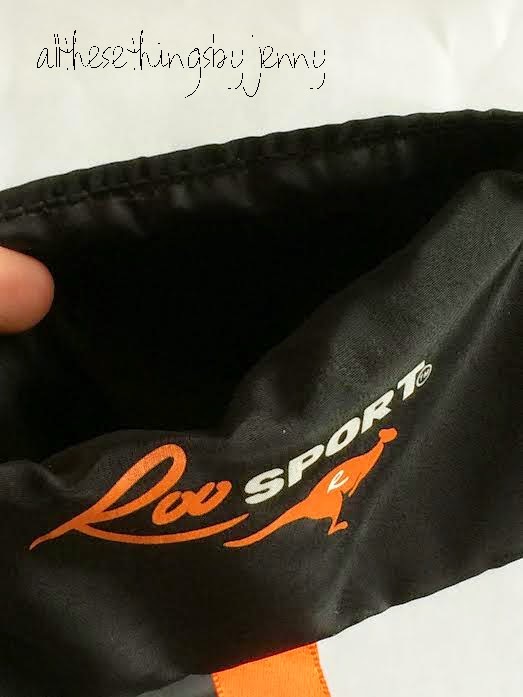 But the Roo Sport is a way to exercise "hands-free". It clips onto your pants and you can put cards, phones, ipods, keys, anything in it. I use it to put my iphone in and run with it. It even has a place for your headphones to come out. This thing is my running buddy. I love to run with music so this is the best thing ever. You don't even notice you have it on. It's super light and there is no bouncing or sliding when it's on. This is perfect for the fitness nerd in the family! These would all make fabulous gifts! I hope it gave all of you guys some ideas. I would love to hear some of your stocking stuffer ideas and go-tos. Please, leave a comment below. got to do this fun link up with dearest-love today. These are really good ideas! 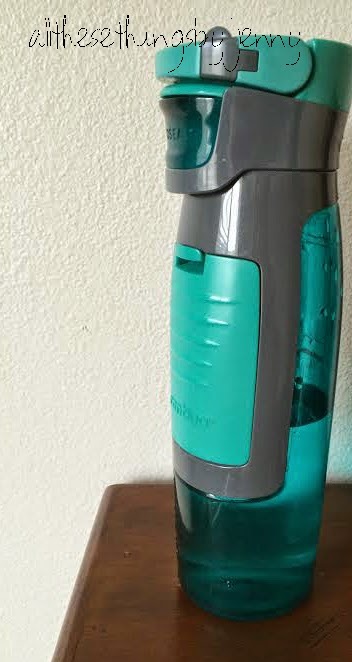 I wouldn't have thought of including a water bottle, but I think my husband would love that. He needs one! Water bottles are great. I think I'm going to get my girls some and put candy inside them.